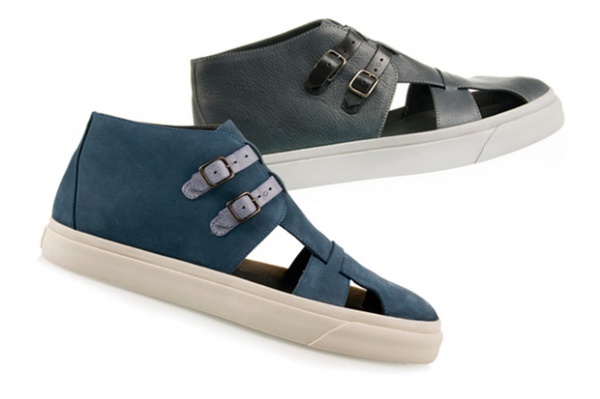 B Store has unveiled the hybrid Sandal Sneakers as part of its spring / summer 2010 collection. The minimalist shoes, in teal or gray, are a revamped take on the standard low-top base and draw inspiration from your standard issue sandal. With side panel openings and buckled, dual-strapped upper, they’re bound to turn heads and get people talking. It’ll take a confident man to rock these downtown – do you have what it takes?